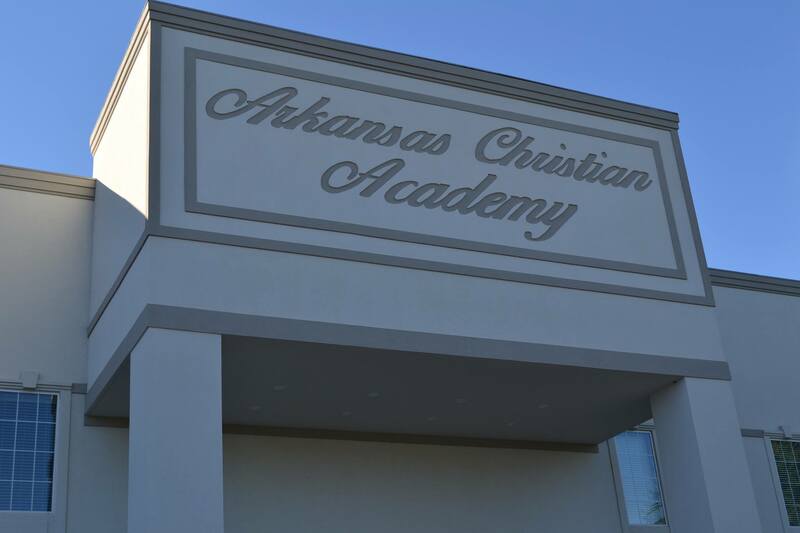 Arkansas Christian Academy shares it's campus with Family Church Bryant. We are located on the Interstate 30 frontage road in Bryant, Arkansas. Our campus is comprised of multiple buildings. The Preschool is located inside of the Family Church Bryant main building. Along the frontage road, you will find the Family Life Center, which houses the Arkansas Christian Academy gym/cafeteria, as well as the Elementary School building. The Middle/High School building is located at the back of the campus, near the football field. You can access the Middle/High School by way of Sheaff Road.